Meet The 2011 Bodyspace Spokesmodel Search Finalists: The Men. Every year Iron Man Magazine and Bodybuilding.com give people the opportunity to grace the cover of Iron Man and being known as the winner of the BodySpace Spokesmodel Search. Meet this year's top 5 male finalists. The Bodyspace Spokesmodel Search Finals will be in LA at the end of January. 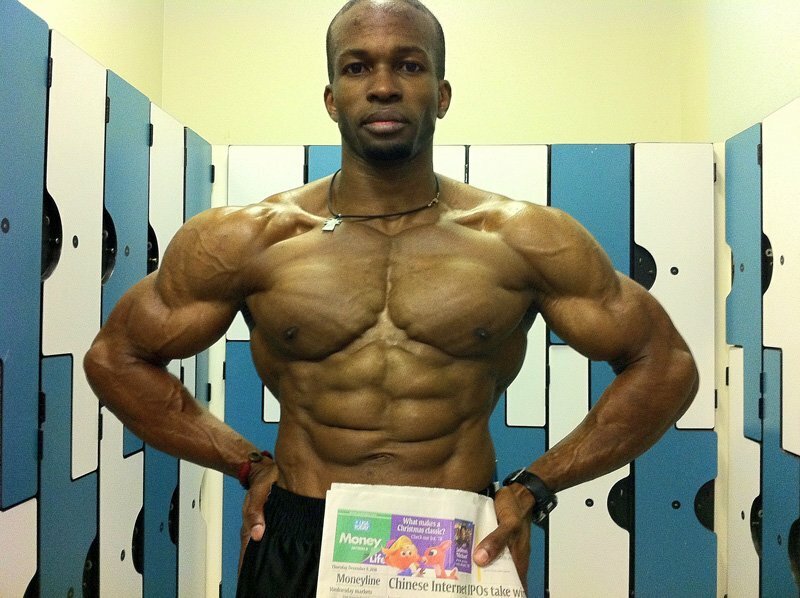 Winners will be featured in Iron Man Magazine and will represent Bodybuilding.com. Get to know all 5 male finalists now and decide who you think will win. Every year Iron Man Magazine and Bodybuilding.com give people the opportunity to be featured all over the world by gracing the cover of Iron Man and being known as the winner of the BodySpace Spokesmodel Search. In 2009, Sean Harley represented the men as the inaugural winner. Last year, Ben Booker was the men&apos;s champion. Winners, Sean Harley And Ben Booker. At the LA Fit Expo in January, one of these five guys will become the next winner of the Spokesmodel Search and will represent Bodybuilding.com at the Arnold Expo in March as well as the Olympia Expo in Las Vegas, NV. Consider this a "sneak preview" of the finals as we have all 5 of them give you insight about themselves, their advice, and how they feel about Bodyspace and representing all 650,000 plus members of its community. 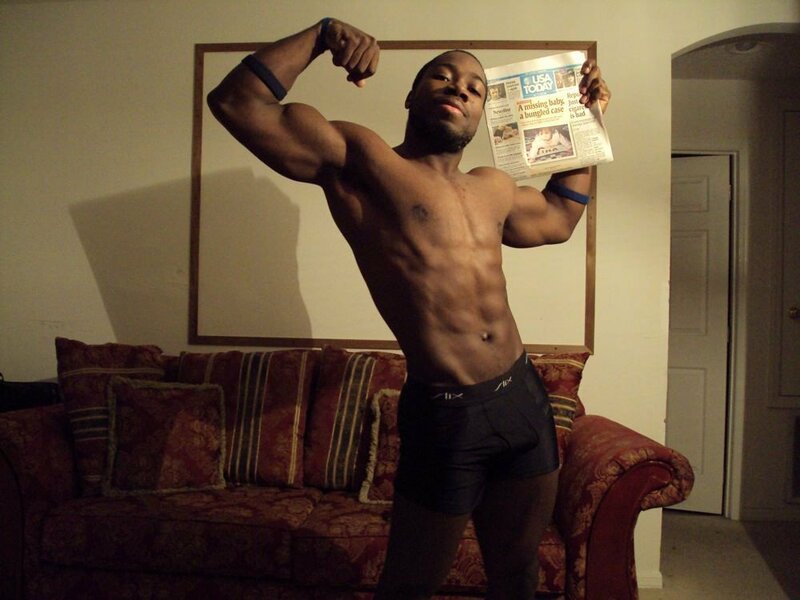 To become the next Bodybuilding.com BodySpace spokesmodel!!!! [ Q ] How do you stick to a New Year resolution? I stick to a New Year&apos;s resolution by breaking it down into monthly goals. That way, I can micro-manage so I don&apos;t get overwhelmed. And I&apos;ll end up fulfilling my resolution at the end. [ Q ] How do you avoid temptation at a social gathering when you are on a diet? I always make sure I have my own food that I can eat instead of the food provided at parties or events. Or I make sure that I schedule my "carb up" day to coincide with the gathering so that I can indulge (just a little). [ Q ] What is your favorite feature on BodySpace? 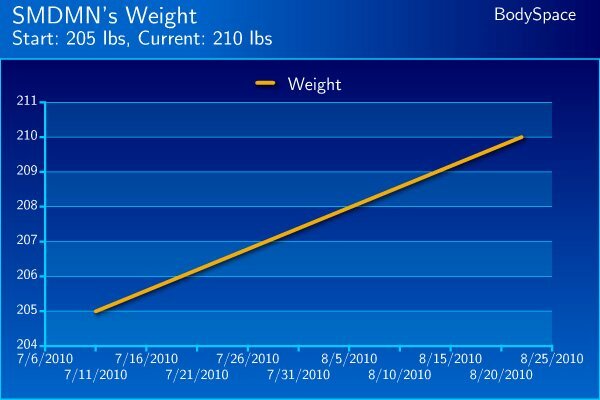 While it seems like I learn something new and cool about BodySpace every day, my favorite feature would have to be the progress section where you get to keep track of your weight, lifts, supplements and measurements. It&apos;s nice to be able to look back and see how far you&apos;ve come. My Favorite Feature Would Have To Be The Progress Section. It&apos;s Nice To Be Able To See How Far You&apos;ve Come. [ Q ] Which BodySpace member inspires you the most? I love "thenaturalone" on BodySpace. I always get inspired after looking at his profile. It really puts me in the mood to lift. 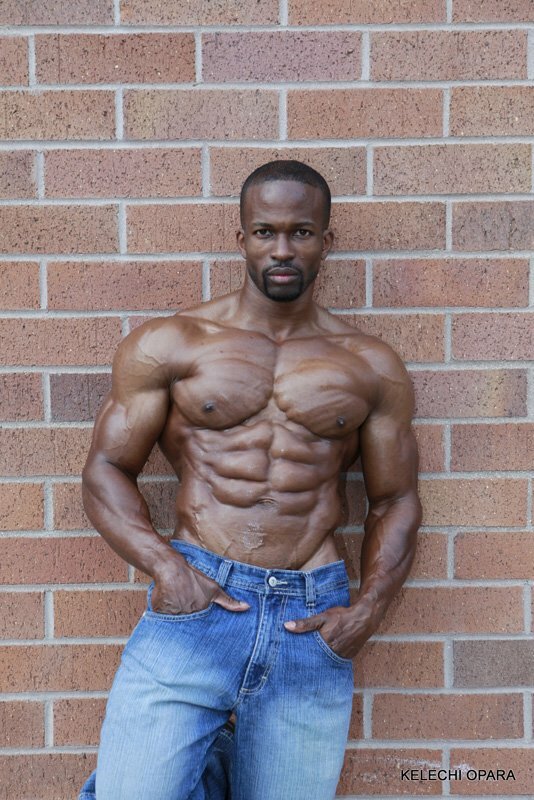 [ Q ] How do you plan on inspiring others as a BodySpace Spokesmodel finalist? I just graduated with my BA so I am hoping to really get after it and update my BodySpace daily with information on supplements I&apos;m taking, workouts, diet etc. I want people to realize that you can get the body you have always wanted by making smart changes in your daily routine that will pay off big time. I want to help people realize it&apos;s easier than it seems and that being healthy makes all the difference in life! Honored to be one of the 10 finalists in the 2011 BodySpace Spokesmodel Search Contest. Thank you for all your support. [ Q ] How do you stick to a New Year&apos;s resolution? In my opinion, it&apos;s important to have a clear vision of your end result when setting goals; knowing exactly what it is you want to achieve is critical. Setting short term goals within the ultimate long term goal is important as well. When you lack the motivation, focus on that end result. It&apos;s December in Minnesota. It&apos;s freezing cold and the ground is covered in snow. You wake up on Saturday morning after a long work week, lacking motivation to workout. You ask yourself, do I go to the gym, or do I hibernate and watch TV? Now, it&apos;s July and the sun is shining and you are at the lake with friends and family celebrating the holiday. Think back to that cold December morning. What do you wish you would have done? TV or workout? Don&apos;t get me wrong, there is nothing wrong with relaxing and watching a little TV every now and then. However, whenever I find myself trying to decide between TV and the gym, thinking of the long term end result has always helped me stay focused and end up in the gym. Unfortunately, we live in a world where you&apos;re the weirdo who didn&apos;t take advantage of the amazing opportunity to score one of the free doughnuts at the office meeting. I have tried explaining why I eat the way I do, and it is usually followed with odd looks and a lack of understanding why anyone would ever want to eat that way. To be honest, I have found the best way to handle this is to simply say I just ate. And It Is Usually Followed With Odd Looks. The fact that you can upload your progress pictures has to be my favorite feature. I love looking through other people&apos;s progress picture galleries. It&apos;s amazing to see the transformations people have gone through. It shows these are real people who have achieved real results. Layne Norton. 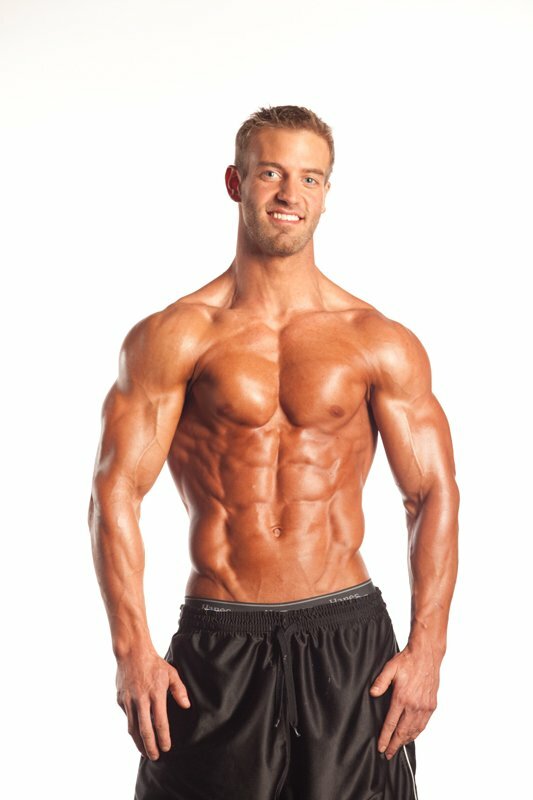 I came across Layne&apos;s articles on Bodybuilding.com when I was in high school and was immediately inspired. I have a huge amount of respect for Layne&apos;s approach to bodybuilding. In my opinion, there is one way to inspire and it&apos;s to lead by example. That&apos;s exactly what I plan to do. I want to use my passion, my knowledge, and my willingness to help others to inspire them to reach their personal fitness goals. 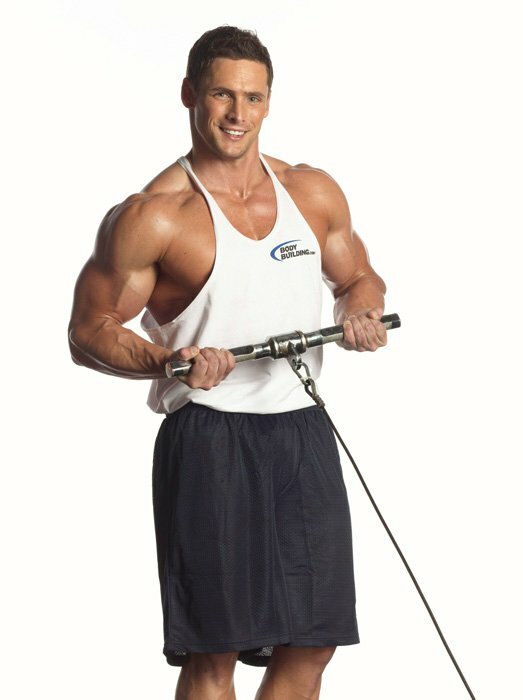 To continue inspiring and motivating people by becoming 2011 BodySpace Spokesmodel. A big thanks to everyone that has voted for me. I made it to the top 5. I stick to a New Year&apos;s Resolution by starting early. Instead of starting my resolutions in January, I begin them in November. That way, once the New Year rolls around I&apos;ve already begun building a new habit. I also like to keep a picture of what my resolution is on as many places as possible, like I&apos;ll put it as my cell phone background, computer desktop wallpaper, and on my Ipod. Anything that I come in contact with on a daily base becomes a visual reminder for me. Another way I stick to a New Year&apos;s resolution is by telling as many people about it as possible. Accountability is one of the best ways to keep you on track. Just like when you were a kid and you promised your parents that you would do your homework as soon as you came home from school. If they never checked it, then chances are it wouldn&apos;t have gotten done. So when you share your resolutions with others, they become your proverbial Mother and Father that are also checking on your progress. Temptations around a social gathering are not that hard to avoid when the people around you are aware of what your goals are. I like to inform the host of the gathering about my diet, as to not offend anyone. If you&apos;re truly sincere, they may even offer to prepare something that is within your diet parameters. Also reminding myself how horrible I will feel the next few days, after indulging in a treat for a few minutes, helps me stay on track. And if that doesn&apos;t work, just tell them you&apos;re allergic to everything. Ha! Diet, As To Not Offend Anyone. Of all the features on BodySpace my favorite one would have to be the progress picture section. It&apos;s very difficult to see the changes that you have made in your physique. So, having that visual time line is essential. I love going back to pictures that I took months or years ago, when I was trying out different workouts and diets and seeing how my body adapted to it. It has helped me to understand what works and doesn&apos;t work for my body. Elijah Maine. Aka Supermaine. When I first joined BodySpace, he was one of the people that I admired because he also set a goal to push his physique to the next level. I then viewed his progress pictures and saw how much he changed in such a short period of time. That&apos;s when I knew I could and had to do it too. My greatest mentors have always inspired me by not what they said but rather what they did. I plan on inspiring people with my actions and by showing them that being consistent in life is the best way to achieve lasting results. That hard work and sacrifice will pay off in the end. If you believe in yourself, then others will in turn believe in you. Sure, I can preach to everyone about diet, nutrition and lifting habits. But if I myself cannot practice any of it, then it&apos;s just a gilded message. Fitness is not what you know, it&apos;s what you do. I MADE THE TOP 5 AND I&apos;M GOING TO LA!!!!!!!! I think the best way to stick to a New Year&apos;s Resolution is to not stray too far from your diet and training regimen year round. For me, I stick to a clean diet and incorporate cardio year round. This way when I need to lean out for a show or photo shoot it isn&apos;t too much of a shock or change from the norm. This year, make your New Year&apos;s resolution to employ a healthy lifestyle all year and enjoy the benefits of not having to undergo drastic change come January 1st. I stay focused on what&apos;s important to me. I have worked for years to build a physique that I am proud of and I don&apos;t want to do anything to jeopardize any of that hard work. Of course I like to have fun and incorporate cheat meals, however it is always within reason. You have to ask yourself, is an unplanned cheat meal or night full of drinking worth forfeiting the amount of time and effort I have put into the lifestyle I live? I think when looking at it this way, the easy answer is no. It&apos;s not easy but when you take a step back and look at the bigger picture, it definitely becomes clearer. Worth Forfeiting The Time And Effort I Have Put In? The progress pictures, for sure. 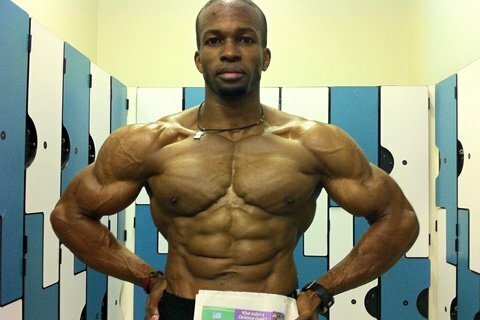 When I first started out and joined BodySpace I used to check out all the members who had physiques I sought to mirror. I would then track their progress through their progress pictures and found this extremely motivational. Watching other members take their physiques to the next level through this progress picture section inspired me to do the same. I continued to watch certain members as they grew and it really kept me on track and motivated to continually get better. I would have to say str8flexed or Layne Norton as many people know him. I am sure by now most people know Layne or at least know of him. What can I say, this guy is who I aspired to be when I was just getting started. His drive is simply unmatched. If I could take one trait from Layne, it would have to be his focus. Once he sets a goal for himself, you just know he will achieve it. The guy loves fitness and the lifestyle that comes along with it and he preaches it to perfection. How could you not be inspired by this guy? All I can really say here is I have been there. Take a look at some of my before shots when I was just getting started and you will see that I started out with very little to work with. I was 125lbs at 6&apos;0" tall as a freshman in high school. 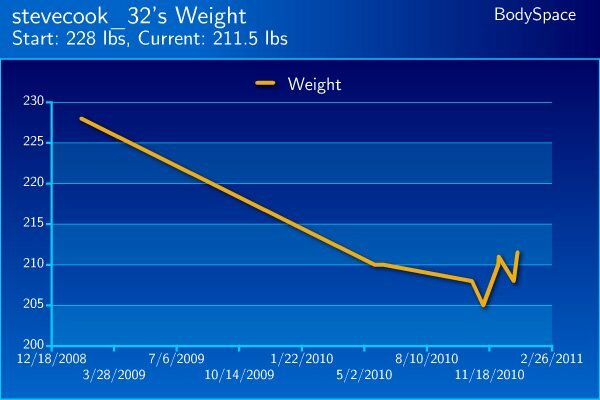 I am an ectomorph, as many of you are out there, and I know what it is like to struggle to gain weight. The bottom line is, knowledge in diet and exercise is crucial, but before that you need a goal and you need motivating factors to reach that goal. 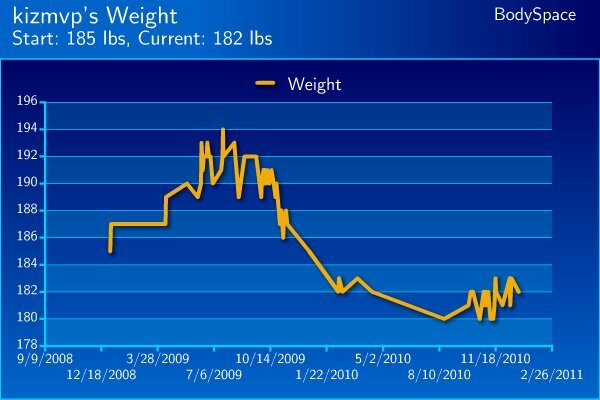 I think I can be inspirational to others on BodySpace because this is the exact method I used to achieve my fitness goals. I began as kid with a less than impressive physique and very little understanding of what it is I was trying to accomplish. Today I have used the knowledge I have gained through both Bodybuilding.com and BodySpace combined with the motivation offered by members of BodySpace to help reach my fitness goals. 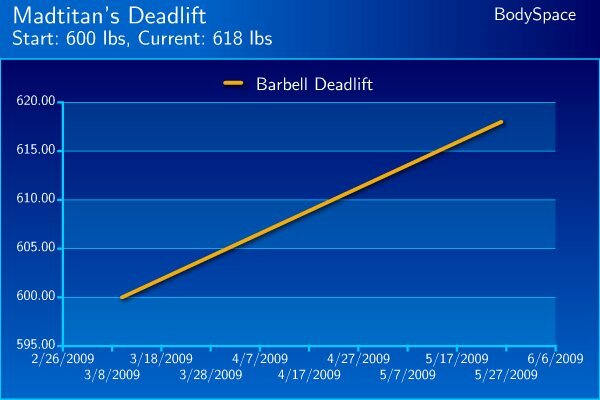 Now, I have raised the bar, set new goals and hope to help others get started on reaching their fitness goals. That is what BodySpace is all about! A few days (Jan 29) to the spokesmodel contest at the L.A. Expo! I change the environment to make the change easier. For instance, when I want to eat clean not only do I clear the house of junk food, but I also replace the junk food with clean snacks. This is half the battle. If there&apos;s nothing to tempt you to go astray, you are not going to break your resolution. Another way to do it is to have your meals cooked and ready to go. This way when you are hungry you have something on hand to eat instead of McDonalds. It&apos;s the same way that I avoid the temptation to buy junk food at the grocery store. I eat before I go to a gathering. If I&apos;m going to drink alcohol then I will cut my total carbohydrates for the day and ensure that I eat lean meats the entire day. It&apos;s very hard to pick since all of its features complement each other so well! All of the features blend together to turn it into a community. So I believe the feature I like the most is intangible...the community and the feeling of being part of it. BodySpace&apos;s Community Aspect And Feel. I would say Chad Shaw because of what he had to overcome. In addition, I like how detailed his blogs are. He always tries to pay it forward. This is my philosophy as well. I also like Alan Aragon and Ryan DeLuca. However the question I believe was asked in the context of members somewhat similar to me that&apos;s why I picked Chad, otherwise I would pick all three as I have them on my BodySpace. I plan on doing exactly what got me here in the first place; interacting with the community by helping other members in the community, especially people who are just starting out. I believe the fact that I go out of my way to help other people through my blogs, private messages, comment sections and now motivational videos is what got me here. This is what I&apos;m going to continue doing to inspire others. There you have it. Which one do you think is going to win? Go check out their profiles now and give them your support as they anticipate going to LA and finding out who is going to be the 3rd male winner of the Bodyspace Spokesmodel Search. 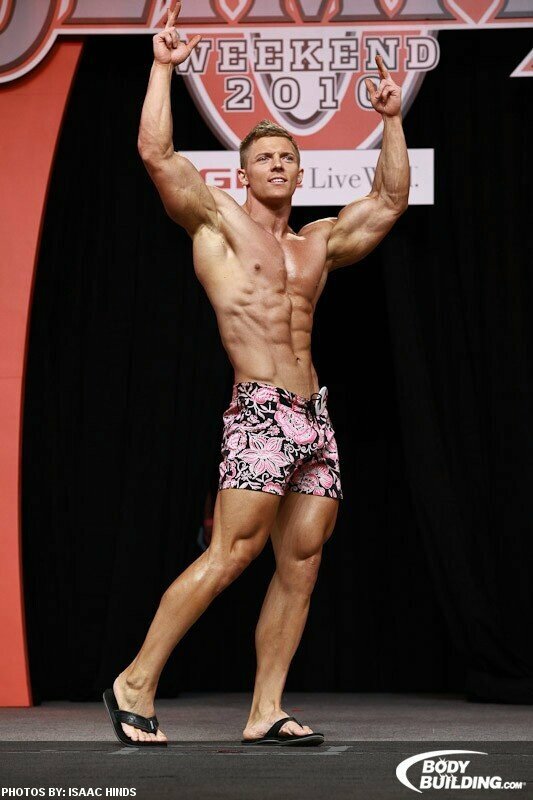 Who Do You Think Will Be Named The Male 2011 BodySpace Spokesmodel?